Are blogs a good fit for your eLearning course? Or should you stick with online forums, social media groups, and other collaborative online platforms? 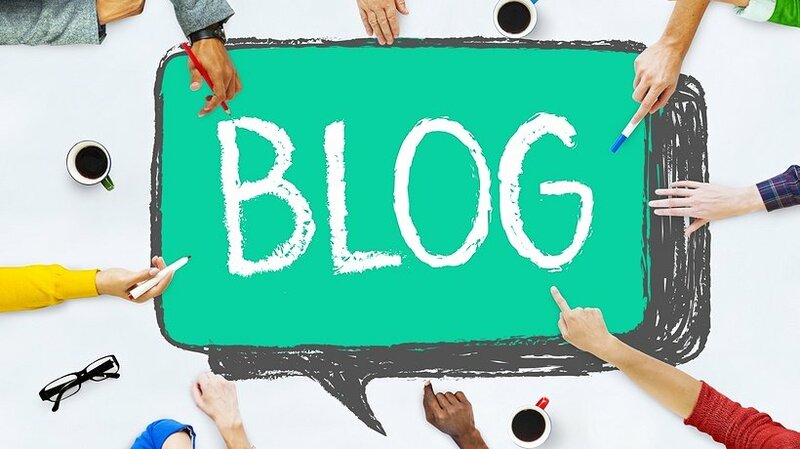 In this article, I'll share 7 tell-tale signs that it's time to integrate eLearning blogs into your eLearning program. Blogs in eLearning give you the opportunity to keep your online learners in the loop and create a collaborative hub for your eLearning course. However, blogging takes dedication, time, and a creative spark. So, you may be wondering if it’s the right choice for your eLearning program. Are your online learners really going to benefit from the eLearning blog, or will you just be wasting your precious time? Here are 7 tell-tale signs that it's time to integrate eLearning blogs for a successful eLearning program. eLearning blogs are a natural fit for online collaboration and social learning. Everyone has the opportunity to share their thoughts so that they can collect valuable eLearning feedback. The same applies to eLearning assignments and brainstorming ideas. This is ideal for self-paced eLearning courses that don't typically have peer-to-peer interaction. To ensure that the lines of communication are always open, develop some basic guidelines that online participants must follow. In addition, you should closely monitor the ongoing online discussion to keep online learners on track. A minor conflict can quickly become a major disturbance if you don’t have protocols in place. Different learning generations have different requirements. While some Baby Boomers may be uncomfortable with eLearning, your Generation Y group feels right at home. eLearning blogs help to bridge the gap by customizing the eLearning experience. Online learners who aren’t tech-savvy can still write posts and leave comments. On the other hand, those with more experience are able to embed resource links, upload projects, and use more interactivity. The beautiful thing about eLearning blogs is that they are versatile and learner-centered. Each individual gets what they need from the eLearning blog and can access the online platform whenever is most convenient. eLearning blogs offer the best of both worlds. They are structured, but still leave room for informal learning. Thus, they are the perfect tool for creating an online learning community. Everyone has the power to share their ideas and opinions without being judged, because they are among their peers. They can incorporate links to useful online resources, get the latest eLearning course news, and address their concerns. The eLearning blog also serves as a virtual headquarters for your eLearning course. For example, it contains links to all of your social media pages so that they can access the peer network. You even have the ability to create a shared eLearning course calendar for your eLearning blog that features reminders and assignment deadlines. Online collaboration gives learners the power to exchange knowledge and experiences with their peers. There are a variety of online collaboration tools to choose from, but eLearning blogs facilitate more personal interactions. As an example, online learners can brainstorm ideas or work on group online projects without having to use a third-party tool. This is especially true if the blogging platform features plug-ins. For instance, a Project Management add-on that makes it easy to share documents and provide eLearning feedback. Online learners also have the opportunity to create a private eLearning blog for each new online project or group. Thus, they don’t have to worry about their work showing up in the public domain. eLearning blog posts don’t have a word cap, as is the case with other social media platforms. As such, online learners can respond to writing prompts and reflect on the topic without limitations. For example, you can post a case study and then ask them to share their thoughts and insights. Alternatively, online learners are able to create their own posts and then solicit feedback. This is a valuable eLearning assessment method, as online learners must understand the topic before they can summarize it. For best results, develop a prompt schedule so that online learners can think about the subject beforehand and formulate their ideas. eLearning blogs are often seen as a public online platform, but they can also be used for personal learning paths. Individuals upload their eLearning assignments, ideas, and goal checklists to the eLearning blog so that they can track their progress. Self-paced learners are able to evaluate their performance and identify areas for improvement by examining the posts. Once they complete the eLearning course, the eLearning blog serves as an eLearning portfolio that they gradually expand. For example, uploading their resume and work examples to land their dream job. Furthermore, online instructors and facilitators may use the eLearning blog as a progress indicator. They periodically check the eLearning blog to verify that the online learner is keeping pace and fully understands the subject matter. If not, they can offer additional support or online resources to remedy the issue. eLearning blogs have one feature, in particular, that many social media sites lack; organized archives. The online blogging platform automatically categorizes every post based on keywords and metadata. These categories appear on the sidebar of the site, which allows online learners to quickly find targeted topics. For example, they need information to complete a task. Instead of scanning the entire eLearning blog feed, they simply search the archives by keyword or date. As a result, eLearning blogs make great microlearning libraries. Online learners are also able to look back at past eLearning assignments or topics to refresh their memory. This helps to improve knowledge retention and recall. To take advantage of this feature, tag all of your eLearning blog posts and include a brief description. The secret to creating successful eLearning blogs is choosing the right online platform. Take some time researching the available options and feel free to ask your online learners which eLearning blogs they prefer. This will help you create a solid framework for your eLearning blog, instead of having to switch online platforms a month from now. eLearning blogs are a powerful social learning tool. Read the article The Truth Behind 5 Social Learning Myths to discover the surprising truth behind some social learning myths that are making their way around the web.